FunDza had the opportunity to participate once again in Cell C’s Take a Girl Child to Work Day. It was a great success last year, so naturally we decided to repeat the exercise. We invited learners from one of our beneficiary schools, Matthew Goniwe Memorial High, to come and share the day with us. The initial idea was to invite five girls, but Xoliswa, the school’s librarian was so excited by the project that she ended inviting six girls. Prior to the event, there were a couple of hiccups. They ranged from car issues to Cell C running out of promo packs. However, FunDza staff members pulled together as a great team to overcome the challenges. The six girls – neatly dressed in their school uniforms – were so excited to spend the day with us. When they arrived, everyone had the chance to introduce themselves to them – talking about their role in the organisation and what they concentrate on doing. Some of the girls expressed their love for writing but were unsure of platforms to showcase their writing. Zimkhitha, our Fanz editor the girls to send through some their writing. The girls really enjoyed the tasks because they offered to do volunteering work for FunDza in the near future. Over lunch we had great informal discussions about the importance of literacy and reading. The girls asked questions every now and again, demonstrating interest from their side. 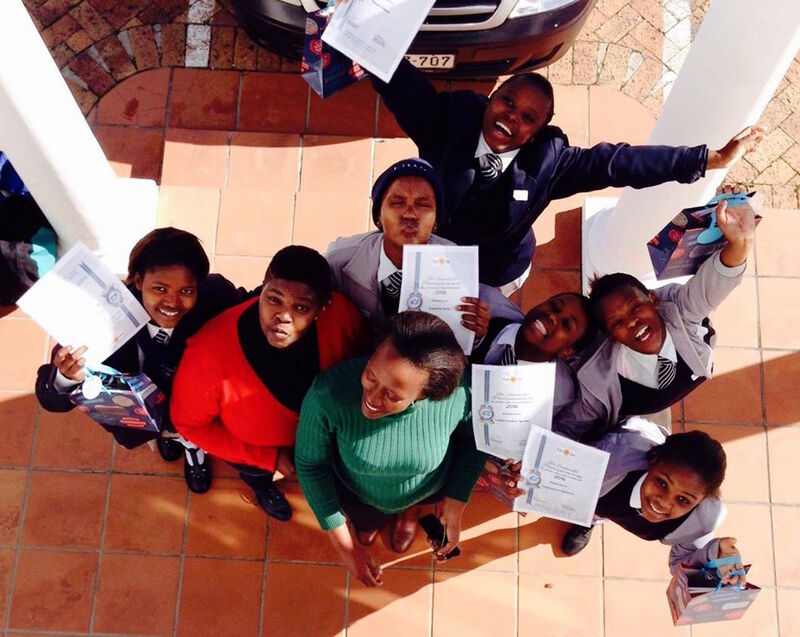 Cell C’s Take a Girl Child to Work Day certificates and goodie bags were given to the girls as a token of appreciation for their participation. Everyone, from the girls, librarian and FunDza staff really enjoyed the day. It was a very successful event for a worthy cause. .Seemingly this Fundza project is very important because it promotes reading and writing skills. .To expose learners to work situations make them to have a feeling about what is actually done and they become motivated. .We are going to start in our district. Totally agree with you Zodwa. You can be part of this initiative by registering with Cell C, they will assist you in setting this up. It comes once a year, so be on the look-out in 2017. Thank you for the wonderful comments.